I’ve been dating since I was 15 years old, I’m exhausted, where is he? I know how she feels. Only it’s not dating that exhausts me (chance’d be a fine thing! )—it’s education. It’s schools and teachers and kids and politicians and what seems like a lifetime of fighting one way or another for public education and the rights of kids and teachers to the very best that they are entitled to. And after more than a quarter of a century, like Charlotte, I’m exhausted. I didn’t intend to become a teacher. All I wanted to do was go to university and study literature. I’d spent my last 2 years of high school in a senior college in Canberra where I was able to study as many English units as I wanted to. A double major, they called it. I did subjects like Women in Shakespeare and The Short Story, Irish Literature and many more now that I can’t name even though I remember the teachers and the books and the fact that I was essentially, a pig in mud. And I wanted to keep studying literature at university, but I didn’t know—I honestly didn’t know—what else to do with an English degree except to become an English teacher. I’d been accepted into ANU, USyd and Macquarie, and I wasn’t sure where I should go. I knew I didn’t want to stay in Canberra for the rest of my life, and I figured if I was going to be a teacher—because what else did you so with an English Lit degree—then I should train in NSW so I was qualified for the NSW school system. So I went to my careers advisor for advice, and instead of guiding me through the range of career options open to a kid who loved English, she simply said, well, if you’re going to be a teacher, then I suggest you go to Macquarie Uni, because Macquarie has the best teacher training program. And she was right, and I don’t blame her for not giving me advice I didn’t ask for, and I duly went off to Macquarie and had what may have been the best 4 years of my life and came out the other end utterly committed to being the best public school high teacher I could be. And I’ve never regretted it. But before I’d even graduated, I started to get a taste of life as a teacher. In my final year of university, I attended the wedding of a school friend, and because I was single and a nice girl, I was sat on the table with the extended family of the groom instead of my school and church friends. And I got stuck next to the annoying, overly-opinionated brother-in-law who took it upon himself, when he found out I was soon to finish my teaching degree, to inform me of everything that was wrong with the state of the teaching of English in Australia and what a cushy life teachers had. This was essentially a precursor for the public discourse that dominated my short teaching career. 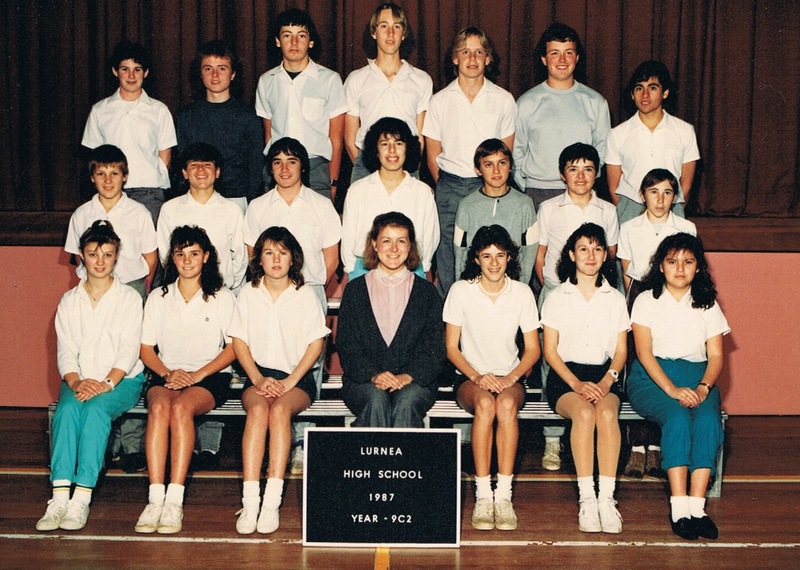 I graduated in 1986, and was appointed that year to a selective high school in Sydney’s south-west. It turns out it wasn’t a happy appointment, for a variety of reasons that are not the subject of this post, and I have often said over the years that if I’d had a happier first year out, then maybe I’d still be a teacher. Or have stayed in teaching for longer. But really, it wasn’t the fault of that difficult first year, because subsequent to that I had wonderful experiences in fabulous schools with incredibly supportive fellow teachers and head teachers and principals (one in particular) who went out of their way to mentor and support me and give me opportunities well beyond my tender years. I taught 3 Unit English in my 5th, and final, year of teaching, thanks to a head teacher who was unfailingly encouraging and who saw in me a real need to challenge myself intellectually as well as creatively and professionally. I loved the rough as guts working class kids I taught at my next school. The young woman who tried to teach me to break dance by saying ‘Go on, Miss, it’s just like yer making love!’; and the strapping Islander girl who with just a few well-chosen words pricked the inflated ego of her male classmate who liked to talk about his “morning glories” at the top of his voice, trying to make the now (if I might say so) cute 23 year old teacher blush. I loved the Italian Catholic boys at yet another school who argued that Rita (from Educating Rita) was in the wrong for hiding her contraceptive pills from her husband, even as they asked me questions like, It was the Catholics who killed Jesus, right? (I kid you not—we were ‘doing’ Bruce Dawe’s poem ‘And A Good Friday was Had by All’.) I loved the Year 9 boy who carefully placed a framed photo of his girlfriend on his desk at the start of every lesson, and the Year 10 girls whose gelled fringes shot half a foot into the air. (Come on, it was the 80s. They were gorgeous.) I loved the kids I worked with on Rock Eisteddfod and the refugee kids who didn’t know how old they were and the Laotian kids with their warm gentleness and the Slavic kids who said they didn’t care whether their friends were Serbs or Croats because the cost of caring about that was why their parents left eastern Europe on the first place. I loved the boy who made Year 7 English merry hell during that Friday afternoon double period, but whose poetry showed me what hell he was enduring at home. I loved another Year 7 boy who gleefully chopped me to pieces in a ceiling fan in one of his stories. I just loved them, even the ones I didn’t like (OK, maybe I didn’t love them), and I loved being their teacher. I didn’t love everything about teaching, though. I didn’t like the fact that I ALWAYS had work that needed to be done—marking or programming or something, there was always something hanging over your head that needed to be done. I didn’t like that you never felt as if you finished the job—the kids would move on and you never really knew how they went after they’d left your class. And I was a bit frustrated, like many teachers who chose to work in less privileged schools are, that I didn’t often get the chance to engage with my subject area at the intellectual level I’d have preferred. But what I really didn’t like was a growing societal and political atmosphere of outright antagonism towards my profession. That conversation as the wedding was very much a portent of what I experienced as a teacher in the 1980s, and a lot of it was driven by a conservative state government hell bent on imposing their ideological position on teachers in schools that they fundamentally didn’t care about, have any personal or political investment in, and frankly, it seemed to me then (and now) they resented having to support. This was a time when slandering teachers was a blood sport indulged in across the board. Letters to the newspapers were full of complaints about slack teachers who only worked for 6 hours a day and got 12 weeks of holidays a year. We were lazy, stupid, and responsible for (rather than victims of) everything from poor behaviour and discipline in young people to falling educational standards. I’m not exaggerating when I say it was relentless. At least, it felt that way. And it made it all too easy for the then government to come in and slash and burn not just teacher’s rights and conditions, but funding and resources to public schools. If you were around then, you may remember the notorious education minister, Terry Metherill. So hated was he that banners at industrial meetings proclaimed “Come back Rodney, all is forgiven”, referring to the previous Labor education minister, Rodney Cavalier, who until then was the most reviled name in public education in NSW. And there were lots of those industrial meetings. We were on strike a lot, and at that time it went right against the public mood. These days, things have changed a lot, and it’s comforting to hear Jo Public frequently comment that s/he supports teachers in industrial action even if strikes and stop work meetings are inconvenient. It wasn’t like that in the Metherill era. People openly loathed teachers and were deeply critical of strikes. They seemed to think it was only about money and conditions—which it was, in part, but what was not appreciated then in a way that I think is better understood now, is that when teachers conditions are attacked, so are the learning conditions of students. It’s all a long time ago now, and I don’t pretend to remember all the detail of Metherill’s notorious white paper, apart from the huge staff cuts in public schools (2500 teaching positions were cut), but I do remember the atmosphere of anger and hostility on both sides of the school gate. I remember so clearly saying to my then partner, I’m tired of being angry all the time. I’m not an angry person by nature, but I’m angry all the time. I had friends in the staff room who never told people they met at parties or the like what they did for a living. Back in those days, calling yourself a ‘public servant’ was less reviled than being a teacher, and it wasn’t exactly a lie, either. But tell people you were a teacher, and you’d cop a barrage of opinion on your professional standards and how everything that was wrong with the world and with kids today was your fault. I was sick and tired, every day, of defending my profession. I was sick and tired of working in a system that in so many ways was geared to make so many of the kids I was teaching fail, and through no fault of their own. I was sick of being angry. Curiously, though, it wasn’t long before I was back working for the department, but this time in the curriculum directorate, where over the next decade and a bit I would spend around 8 years in different stints, and then another 15 months in at Head Office. And in those jobs—as an editor at The School Magazine and as a journalist on the staff newspaper (Side by Side), I got to see the other side of the bureaucracy. Times and public opinion changed over the years, and somehow Jo Public came to a better understanding of the challenges and responsibilities facing teachers, and a much-welcomed greater level of general public support for the profession grew. At the same time, though, the term ‘public servant‘ started to be a dirty word. Phrase. You know what I mean. My boss at The School Magazine, Jonathan Shaw, one of the best men I’ve known, and a terrific boss, used to talk about this a lot. I always remember how he would sadly note that where once upon a time, it was a good and noble thing to be a servant of the public, now it was a term of derision and contempt. And he was right. I don’t know if it’s chicken or egg, but as the term ‘public servant’ became so vilified, it became that much easier for politicians to slash into departments and services—clearly for as much ideological reasons as economic ones—by emphasising that it was only public service positions that were going. That it was back room services, not frontline positions. As if all of those public servants, those back room workers were doing nothing all day long but drinking coffee and playing Tetris or, these days, fooling around on Facebook. When in fact, they were, are, providing administrative support for professional units whose staff—public servants too—in turn provided support for teachers by way of developing resources and programs and professional development that meant better teaching and therefore better learning. I’m not stupid or naive or mendacious enough to say there’s never been a lazy public servant, just as I’d never say that every teacher I worked with was a sainted genius (in fact, I could tell you stories make your hair stand on end, as any teacher could. As any worker in any field could). I’m not going to deny that there’s never been good reasons to reorganise and restructure, to streamline services or to assess need and the best use of resources, and that sometimes that means people lose jobs and that’s the way things go in the adult working world. But I can’t help but think of my old teaching colleague and sparring partner, Cheryl, who would regularly sail into the staff room waving her hands and crying “New rules! New rules!”, and her (and our) frustration at some stupid and unnecessary new procedure or rule that one of the exec staff had dreamed up when the rest of us were still marking illegible essays at 2 am. And having lived through a few of them, I can tell you that many of those departmental restructures felt exactly like that—new ways of doing things just for the sake of it. Sometimes those restructures were little more than deckchair shifting—a new Minister would come in and, like my cats when they’re let out into the garden in the morning, he or she would feel the need to sniff around and leave her own mark where the last guy had been. Things, though, have been pretty good, comparatively, in public schools in NSW for a long time. I haven’t been as intimately involved as many other people have since I last left DET in 2008, but certainly things have been much quieter on the industrial front, compared to the late 80s and early 90s when there was a real danger that teachers would stage an indefinite walk out. (Threatened, but they never do, because fundamentally teachers are about the kids and shutting down schools for the duration is bad for kids and so teachers, who are essentially conservative creatures, no matter what politicians or the Daily Tabloid would have you believe, will actually never take that kind of extreme action. I know, for example, a cousin something removed of mine, who is a now retired primary school principal, disagrees with me on that last point (the one about things having been pretty good in public education for a while—arguably, under the last Labor state government). From Ed’s point of view, there have been plenty of cuts and attacks on conditions, but it’s been done by stealth, death by a thousand cuts. But I think even Ed would agree that what has happened this week is about as bad, if not worse, as it’s ever been. I’m not getting into the public versus private funding debate here, though—this isn’t about that, and anyway, my views on this are well known to my friends and colleagues and the rest of you can probably guess. 1800 jobs are going, around 800 of them from TAFE. (And that’s a whole other issue, the relentless downgrading of TAFE over many years. It’s just as well this country doesn’t have a skills shortage problem. Oh wait.) 600 of those job losses will be from state and regional offices. But that’s OK, because they’re not teachers. They’re not ‘front line’. So let me tell you a little bit about job cuts to the public service of the NSW Department of Education and Communities. The curriculum directorate has already, before this latest round of cuts were announced, lost around 200 staff. Most of these were, technically, public servants. However, they were also highly skilled and experienced classroom teachers who had moved into the directorate in order to develop and deliver resources and programs and professional development for—you guessed it. Teachers. Front-line staff. So, for example, the English/Literacy unit has been slashed down to just one or two staff members to serve the entire state of teachers and students, K-12. Two people, tops, to support the teaching of English and the support of literacy programs. For the entire state. Kindergarten to HSC. It’s not just English, although obviously that’s the subject I care and know most about—it’s across all curriculum areas. Just as well there’s not a new national curriculum looming on the horizon that teachers will need support in delivering. And just as well we haven’t all been talking about the best way to implement a review into school funding that would bring genuine reform to education on this country by creating a more equitable funding and resourcing model to ensure that every child has access to the very best education available. And beyond the basics of compulsory curriculum, there’s all those extra programs that enrich the educational experiences and opportunities for kids across the state. Teams that created fantastically innovative programs such as Murder under the Microscope, which engage kids hands on with science, will be gone. The Arts Unit will be dismantled. The Priority Schools funding program is already gone, and I heard on the radio yesterday that the Best Start kindergarten early literacy and numeracy assessment program is also gone. And this new round of staff cuts will come from regional offices. So let me tell you about the staff in regional offices. Many of them are subject/curriculum specialist consultants. They are teachers with recent classroom experience who work within a given region (eg South Western Sydney, the Riverina) to directly support teachers in their region with their particular professional needs. They work one-on-one with schools to develop programs to address specific needs. So if there’s a school with, for example, low reading engagement with Year 9 and 10 students, the regional consultant will work directly with staff to develop strategies to engage those students (who may/will have particular demographic profiles, so a strategy that will work well with refugee kids may not work with Aboriginal kids, just for instance). We’ve lost 200 curriculum specialists and now we’re going to lose regional consultants. But all of that’s OK, because the people who delivered these programs and resources are only public servants. And no-one cares about public servants. It won’t have any impact on teachers. Or kids. And money doesn’t fix everything, apparently. And we’ve all got to tighten our belts, so why should education be exempt? And if you keep saying this stuff—like you keep saying ‘public servant’ with that flared nostril as if you’ve smelt something nasty—then it becomes truth and people stop caring and start getting irritated with those of us who keep trying to cut through the linguistic dissonance to talk about the actual detail of what this all means. And you can bet your life that soon enough, it will turn around and be directed back at teachers. And for the same reasons I only lasted 5 years as a fulltime classroom teacher, I predict a mass exodus from the profession in the next, say, 5 years. Because being a teacher under these conditions is just. too. hard. I’m not a teacher any more, and I’m not an education department bureaucrat any more either. But I spend a lot of time in schools and with teachers and I know what this is going to mean for them, and for kids, especially kids in the already under-resourced and desperately underprivileged public schools in regional Sydney and NSW. And you never really stop being a teacher. And you never stop caring about education and those kids, those kids, who deserve every chance they can get to be bright and safe and happy and educated and to look forward to not just the best start, but the best life we can offer them. I’ve been caring about this, angry about this, exasperated and frustrated and, like Charlotte, exhausted, for longer than I can bear. Please, won’t someone make it stop? This entry was posted in Education and tagged education, politics, schools, teaching by Judith. Bookmark the permalink. So. Very. True. Well said, Judith. Well said. Oh, Judith. This made me cry, and it made me want to climb on the desk and applaud. Why is this stuff so hard for people (politicians) to understand? My parents were English teachers, so I’m continually astounded at the ‘lazy teachers’ rubbish spouted by people who have no idea about what goes on behind the scenes – the constant workload, like you say. Weekend sports supervision, staff meetings, lesson planning, marking (oh, the marking!). If people thought for longer than it takes to say these silly things, they’d realise that the hours in the classroom are just the visible tip of the iceberg. And I’ve heard the ‘money doesn’t solve everything’ argument, defending lack of education funding to public schools in disadvantaged areas, recently, in a too-heated discussion. Well of course not, but (as Marilyn Monroe roughly said about the attractions of a man with money), it certainly helps. Great article and analysis – and I like that you’ve brought respect into it. Respect for teachers on a government, parent, student and societal level is part of the equation when it comes to making education work, and teaching an attractive and rewarding job. Pingback: Hungry for Art indeed | Me fail? I fly! Brilliant post, Judith! I too wanted to cheer and shout it from the rooftops on behalf of all teachers – and it made me angry that programs like the arts and adult literacy in TAFE, education funding in public schools and brilliant concepts like THE SCHOOL MAGAZINE and the TAFE art courses are still having to fight and hang on by their fingernails as the lead weights of politicians drag on their heels. Thanks Judith. I’ve been teaching for nine years in a Christian school. The “new rules, new rules” struck at my heart because we are constantly asked to undertake a “paradigm shift” so our “pedagogical practice” is student focused instead of teacher centred. We’re making learning fun and quantity driven at the expense of quality. For instance, providing quality feedback is optional because students these days just want XPs (points), apparently. The financial emphasis is on technology and architecture. The less money we can spend on teachers the more we have for said technology and architecture. And marketing it all. It seems nurturing and gaining of knowledge and wisdom is being left behind. Well that’s my little rant. I should write my own post. This article struck a lot of chords with me! I followed a university path that would let me read as much as I possibly could (pig in mud – most definitely!) and ended up with honours in English from Sydney University. I seriously considered teaching (as like you, I didn’t know what else to use my degree for)… but I ended up in law instead. Now I work from home as a legal researcher (a field of frustrations in its own right) while homeschooling my little ones, so that I get the joy of teaching them and the continuity of watching them learn and grow, while avoiding some of the distress that I know I would suffer with “New Rules! New Rules!” if I surrendered their education to the system (they are only 6, 4 and 5 months, so we have a LONG way to go :D). I found your site today looking for inspiration on what to read to them next (we powered through Blinky Bill, and are now loving Dr Dolittle – planning to keep going through the whole series). I just wanted to thank you for reminding me how blessed I am to have this luxury!